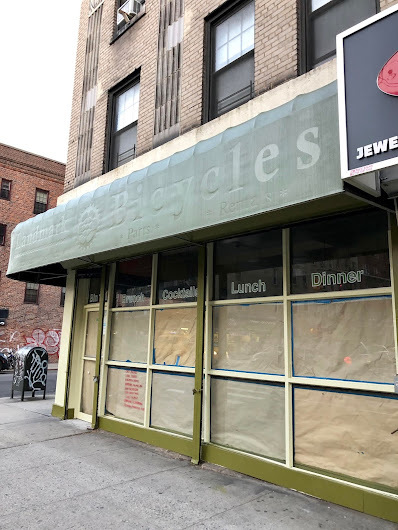 The first signs of the new cafe coming to the northwest corner of Avenue A and Third Street arrived on Monday (the address is 141 E. Third St. aka 43 Avenue A). The lettering for Bin 141 includes the words, Breakfast, Brunch, Lunch, Dinner, Cocktails, Coffee and Vegan Treats. CB3 OK'd a liquor license for this space last July. The Bin 141 application (PDF here) listed 15 tables accommodating 54 diners along with an eight-stool lunch counter. Their proposed hours were 8 a.m. to 11 p.m. Sunday though Thursday; until midnight on Friday and Saturday. 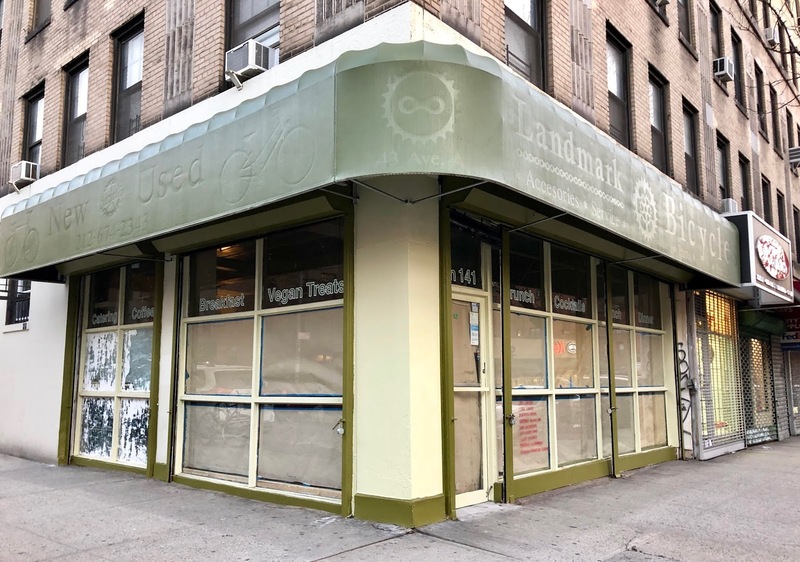 During the CB3 meeting, a rep of the building's co-op board as well a building resident "spoke in support of this applicant as a longstanding, responsible business owner on this block who has operated a quiet, comfortable well-run restaurant," per the minutes of the meeting. The previous tenant in this corner space, Landmark Bicycles, closed in the fall of 2017. Rafik says that NYSCA is a terrible landlord (his current location). He's a very nice person and runs a nice restaurant, but "Vegan Treats" triggers me.